This is the thinnest option for granite countertops. They usually come with a laminated edge to make them look thick. In reality, no fabricator would suggest one-centimeter countertops because they are fragile. They need support on the base to keep them structurally sound. They are more practical in large-scale constructions like hotels to cut costs. Two-centimeter granite countertops are a great option if you won’t put them under frequent stress. You can add plywood supports on top of the cabinets, but you would still need a laminated edge to hide it. On the other hand, three-centimeter granite countertops can be installed directly above the cabinets. They don’t require plywood support to prevent breakage. There’s a 20% to 40% difference in the cost between two- and three-centimeter countertops, but, if you have the budget, we recommend the latter. If budget is not a problem, you can opt for six-centimeter granite countertops. They can make a grand statement in your kitchen. You can also consider having your actual sink carved into the slab for a sleeker look. Keep in mind, though, that there are other ways to achieve this effect. A neat seam work and mitered edge could create the illusion of thicker countertops without the hefty weight. 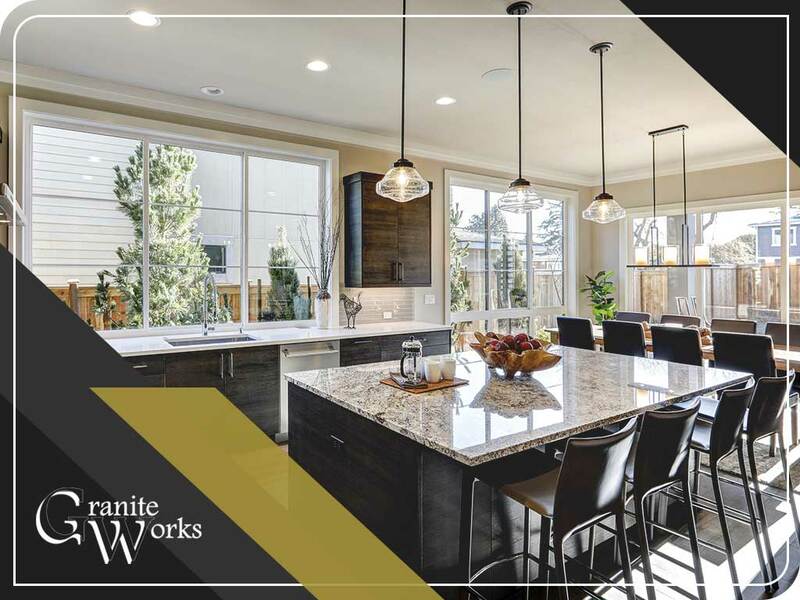 Granite Works is your one-stop shop for cheap granite countertops. When unsure of your choices, we can help you pick the right countertop thickness to fit your needs Contact us at (301) 712-9486 for more information about our products and services. We serve Washington, DC, as well as surrounding communities in Maryland.